Tired of chasing after installment loans for financial relief? Turn off that A/C! Fall is here, and this is your chance to save big, especially before the holidays arrive. 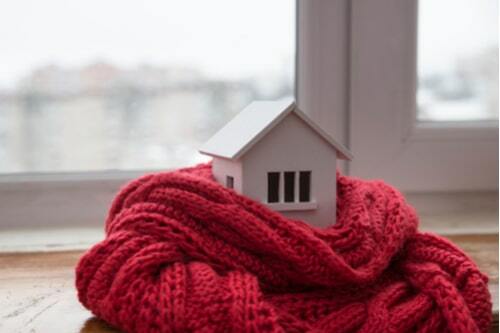 Learn how to keep energy costs low so you can give your finances a necessary boost, and use these tips to make the changing of the seasons work to your benefit. Let the sun keep you warm: If temperatures are dropping quick enough during the day, open up the blinds and let the sunlight into the house for warmth. Bundle up at night: We all know it gets even colder at night this time of year. Instead of cranking up the thermostat, try bundling up under some extra blankets. Flannel works great! Use your ceiling fans: On the days when it’s not so cold, try turning on the ceiling fans for ventilation. Running the fans in your home all day is still a lot cheaper than turning on the A/C. Open some windows: If you don’t have fans installed on the ceilings, try opening some windows. Coffee: If you’re all bundled up and still feeling the freeze, try treating yourself to a hot coffee or a hot cup of cocoa. Got a fireplace or a portable heater? Use it: Another way to stay warm during the colder season is as old as time: fire. If you own a fireplace or a portable space heater, take advantage of it. It’s a lot cheaper than keeping the thermostat on 24/7. Appliances: You don’t have to do this right away, but the next time an appliance in your home breaks down, consider upgrading to a high-quality energy-efficient model. It’s well-worth it. Use cold water: When it comes to washing clothes, dishes and even yourself, try using cold water instead of hot. Your electric bill will go way down. Change the lights: Still using the light bulbs of yesteryear? Try swapping them all out for LED ones. 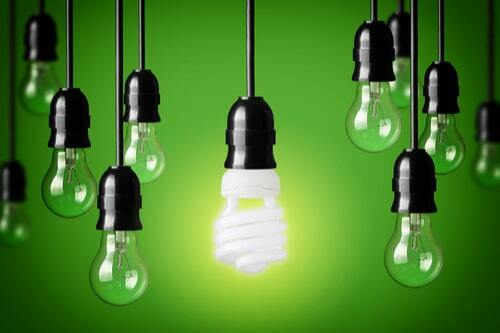 LED lights are not only more energy-efficient, but they can last up to 5x longer than conventional bulbs. Replace your A/C filters monthly: Dirty filters means more work for your home’s A/C. To maximize the life of your A/C unit as well as keep your electric bill low, get into the habit of changing out the A/C filter at least once a month. 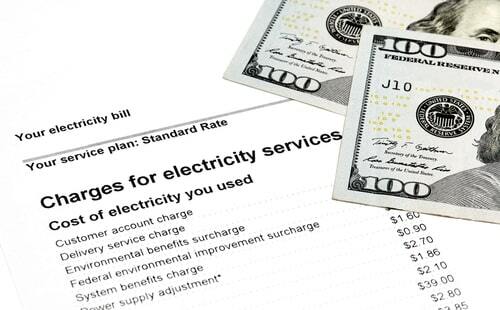 Despite all these ways that you could save on energy costs. The real savings starts at your ability to budget your income. If you don’t have a proper budget plan in place, start one today! When it comes to saving money, budgeting is your best friend.